This year has proven to be a very successful year for new and much needed SJC style footwear. 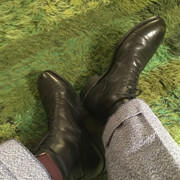 First off is this new SJC balmoral boot built off a 1920's American shoe last, one that I personally think to be the finest toe shape i've discovered, and it is paired with an earlier boot vamp pattern drafted from a 1918 American Balmoral boot in my collection. It took quite a bit of design to get the balance to work as both were different sizes and shapes and periods. 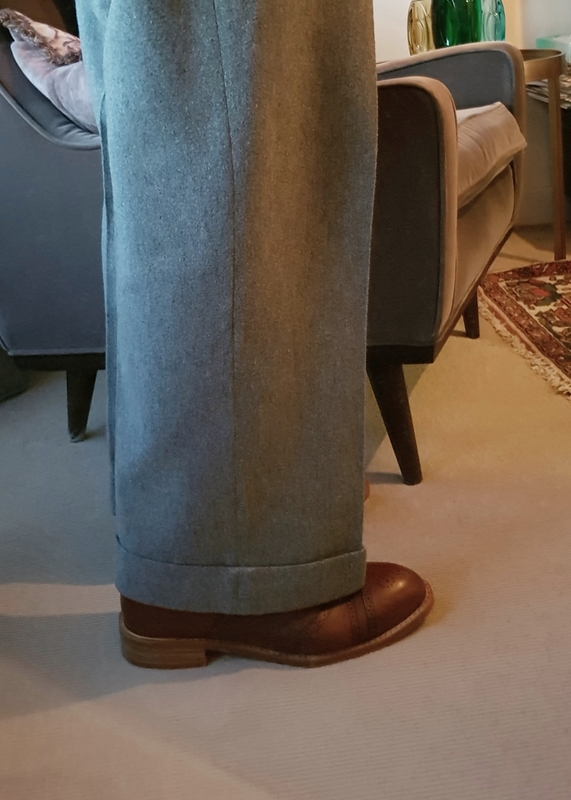 But after about 5 iterations I successfully merged them together into a short study dress boot and the product details could then be focused on. The leather is Brazilian full-grain calfskin, and also calfskin lined, so the feel of the boot is actually very soft and pliable. 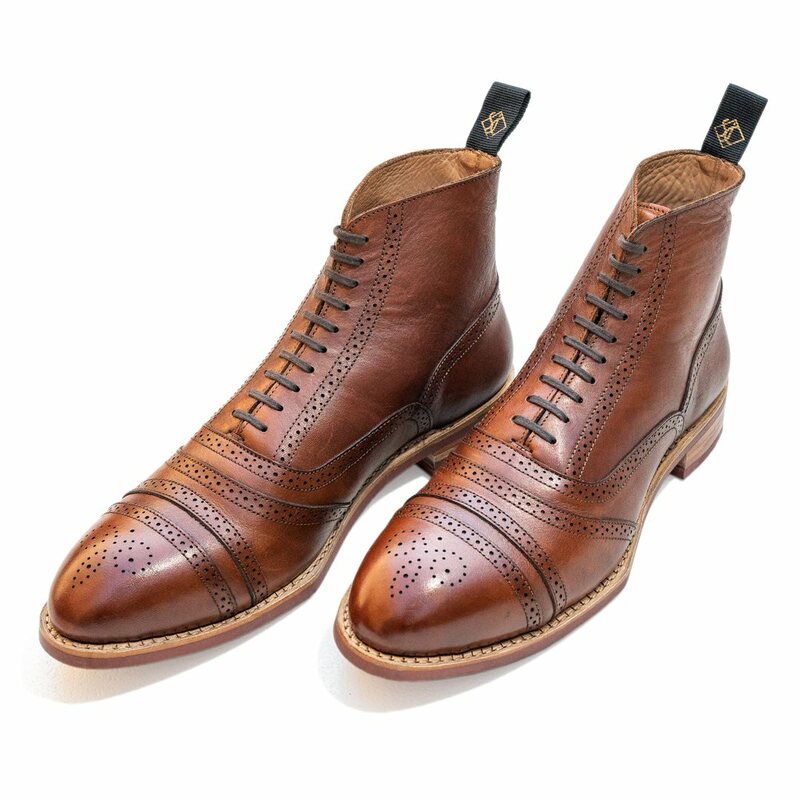 The welt is Goodyear welted with a single leather sole so the vulcanised rubberised sole can easily be removed, when and if it wears out, or if desired, and the boot can easily resoled over and over to last a lifetime. 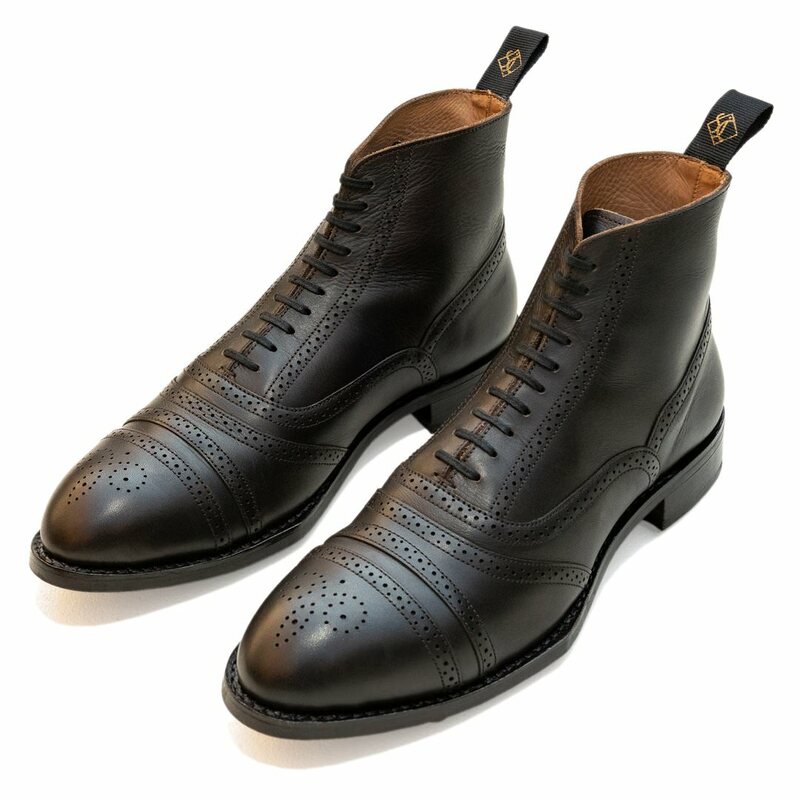 Another feature is the slightly spaded sole which is cut by hand, a feature that many collectors are aching for, and one that I have wanted to implement for the past two years. 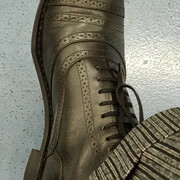 The sewing is finely executed and the flat laces in the brass blind eyelets helps give the boots that distinctive 20's look. *Being such an early shape I believe this boot crosses over into a work boot style and can be worn more casually. It is neither too long, or too fine or too chunky or too agricultural. 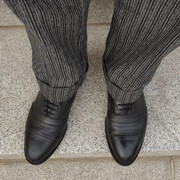 For example I can quiet easily see the black balmoral boot being worn with the Workhouse stripe and the Russet boots with Herringbone Big B's. 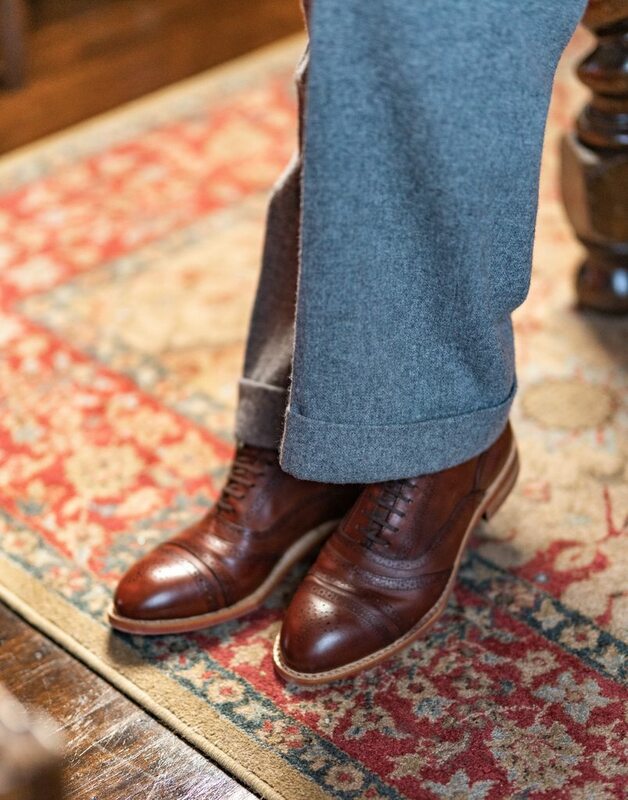 Since the sole shape is the thing that makes this boot quite distinctive, you should include photos of the sole in all your advertising/marketing. First fit pic goes to me. Got these in the mail today. The only thing I’m somewhat sceptical is the fact that they feel a bit large (I’m a spot on 9 according to all the charts and I ordered size 9) and roomy in the toe departement, but maybe I’ve worn shoes in the wrong size all my life. I dont know. Where do you feel them roomy? In the toe box (Green) or the vamp(Red)? Toebox. The vamp feels good. (11-29-2018, 07:48 PM)NCF Wrote: Toebox. The vamp feels good. Well that's the last shape and it's the area that doesn't really matter that much when it comes to fit as long as your foot is secured and the vamp fits nicely, it's style. For example I had to sell my spectators because the whole vamp/toe area was too boxy for my liking and didn't hug my feet properly. Roomy and long-ish. But they are beautiful. Well, they didnt really hold up to swedish autumn weather. Yes, I kind of had to. Any idea how this happened? Deep puddle? I've not heard of any issues. Is the boot faulty?